NOW A FLUSH MOUNT SOLUTION FOR OUR LITTLE WORKHORSE DURALUX LED LIGHTS. Die-cast bezel allows our Duralux (DURA-660) or Duralux 460 (DURA-460) to be mounted flush to bumpers, service bodies, toolboxes, truck beds, etc. 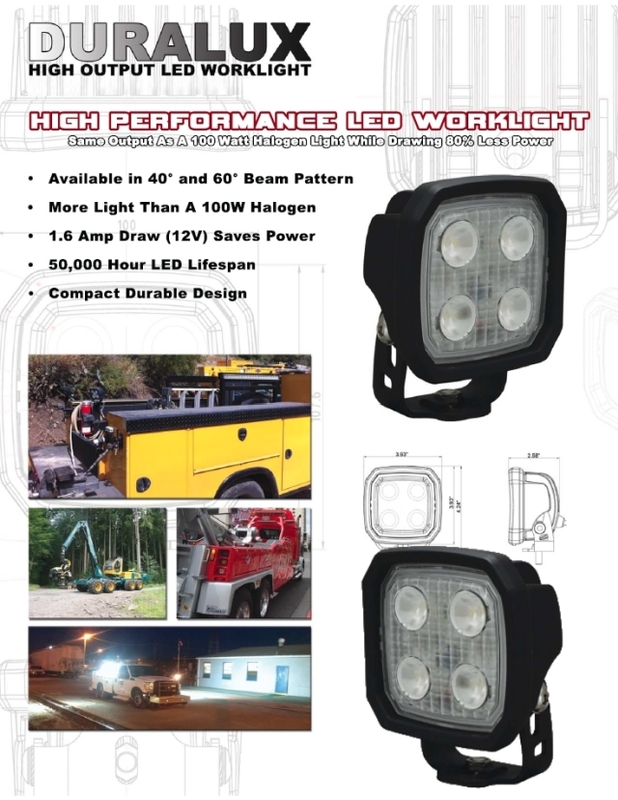 Excellent reverse light solution at 2000-3000 lumens per light. Super Low Price, still Vision X quality. Click the button below to add the FLUSH MOUNT 60° Duralux LED Flood Light. DURA-660FLUSH to your wish list.